This Ben 10 cake is an 8 inch mint mud cake with fondant covering. 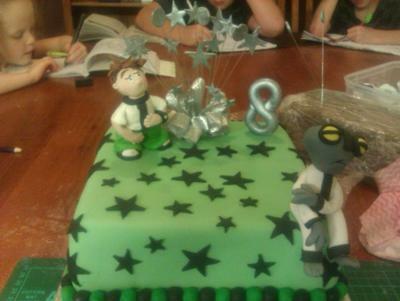 It has stars on wires and the figures are also made from fondant. Please ask me if you have any questions.